Should their grandparents ask them what they did at school today, however, they’re likely to cause some head-scratching with their answers. Adults of a certain age – even those years away from becoming grandparents – spent only the morning or the afternoon in their kindergarten classrooms. They learned to tie their shoes. They counted to 10. They recited their ABCs. They memorized their street addresses and phone numbers. They napped on mats or even large bath towels. Kindergarten students now spend their days – full days, that is – working on math and language arts while they stretch their imaginations and explore nature. 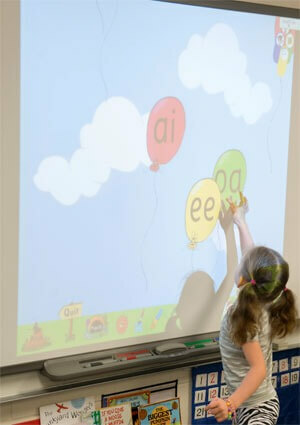 Children are expected to develop phonemic awareness, correctly identify and pronounce “sight words” within seconds, write in their journals, perform simple addition and subtraction and investigate concepts of geometry. “You won’t see sleeping,” says Anne Gregory, chair of NIU’s Department of Literacy and Elementary Education. Myoungwhon Jung, an associate professor in early childhood education in the NIU Department of Special and Early Education, remembers the first time he visited an American kindergarten classroom. He agrees with Gregory on what’s pushing the change and adds the Common Core Learning Standards to the conversation. 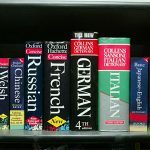 Unfortunately, Jung says, Common Core arrived without enough time for professionals in education to thoroughly examine and discuss the initiative or to prepare pre-service teachers for its mandates. But, for now, teachers must do what they can. 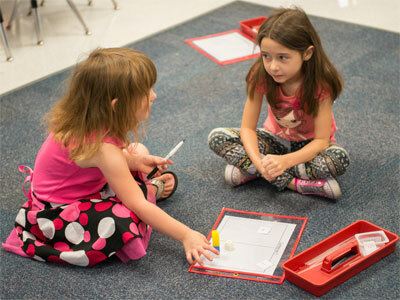 Instead of playing with blocks, kindergartners use them to learn about measurements such as length and area as well as geometry, spatial relationships and estimation. 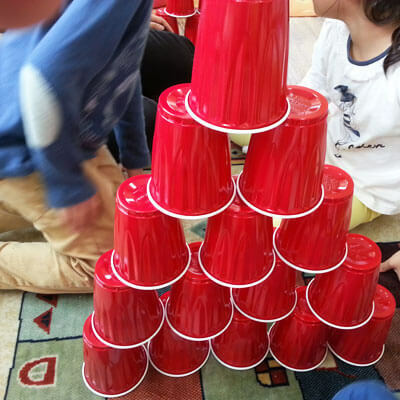 “A kindergarten teacher showed her kindergartners a triangle-shaped tower made of disposable plastic cups and had them build theirs during their free time,” Jung says. The blocks also facilitate other numeracy concepts, Gregory says, when children are asked to count and sort them. Meanwhile, she says, the language arts curriculum is far beyond storytime. Rather than looking at the images in a picture book, she says, they might tell their teachers what they see in the photos. 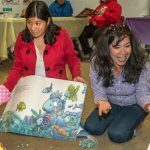 Rather than merely listening to stories read aloud, they might spin – or even perform – their own versions. Rather than just drawing pictures, they might need to offer their theories of the messages being conveyed by the drawings made by their classmates. Are 5-year-olds ready for the new kindergarten? Nonetheless, the professors believe the new way of conducting business is the right way. 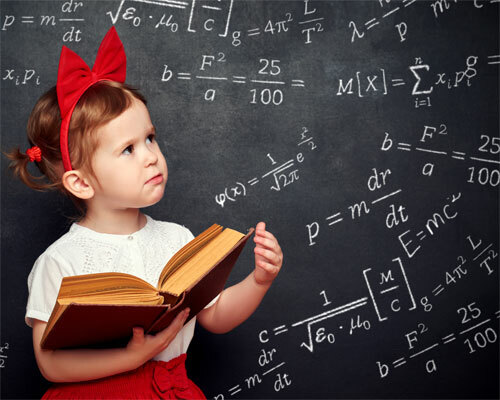 The earlier academic push in math and literacy will boost children down the road, Jung says, and lift the global competiveness of the United States. His example of the cubes-in-a-rectangle estimation illustrates that well. Jung does worry, however, that teachers might feel pressure to cover every standard and present more one-way teaching and teacher-led instruction. Gregory is confident that students who are preparing to teach kindergarten will make that happen. Pre-service teachers of traditional college age remember have been “part of the evolution” and are not surprised by the world they’re walking into, she says. National Head Start CLASS assessments show Instructional Support lags far behind Emotional Support and Classroom Environments. Why? And how can we do better?